Atlanta, GA, May 7, 2018: Ambassador Richard Verma was the U.S. ambassador to India from 2015 to 2017, the first Indian-American to hold that position. He currently serves as Vice Chairman of The Asia Group, a DC based strategic advisory firm to the world’s leading companies seeking to excel across Asia. Ambassador Verma will be in Atlanta on May 31 to speak at the Saris to Suits 6th year anniversary celebration. In this exclusive interview with NRI Pulse, Ambassador Verma talks about women’s empowerment, US-India relations and other issues that matter to the Indian-American community. You are speaking on women’s empowerment, inclusivity, and social justice at the Saris to Suits six-year anniversary celebration. Should more men be taking the lead in becoming “ambassadors” for women’s equality? Of course! I was so fortunate in my family to have such strong women role models, with my mother, grandmother, and three sisters, and that continues in my immediate family with my wife and two daughters. I look up to, admire, and respect all that they have accomplished, but there is no question that we all need to do more to ensure that women have equal say, equal pay, and equal rights – not just on paper, but in practice in corporate America and across our society as well. I have been so impressed with the terrific efforts that Saris to Suits has made across all of these fronts. The US Government has been a partner in Prime Minister Modi’s ‘Beti Bachao, Beti Padhao’ campaign. Today,India is in the news for rapes. It seems like India has not changed at all. Misogyny, religious hatred and class bias are still entrenched in Indian society. What can the NRI community do to help change this mind-set? In both of our countries, the perpetrators of crimes have to be held accountable and brought to justice. We also need to continue to look out for vulnerable and marginalized populations. This is where it is especially important that the rule of law be uniformly applied across economic and social strata and that we have a zero-tolerance for these kinds of offenses. Relations between the US and India are on an upward trajectory. In what ways can US-India relations rise beyond bilateral cooperation and work for the future of Asia and the world? This is exactly the right aspiration that we work together beyond bilateral channels and that means inAsiaacross the Indo –Pacific. And we’ve done that. We’ve done development projects inAfrica. We have worked on combatting climate change together. Our militaries are working together to ensure a free and open Indo-Pacific. This is the vision respective administrations have had. Our two countries can have a positive ripple effect when we work together acrossAsiaand beyond. Fundamentally, the U.S.-India relationship is built on our countries’ shared democratic values. However, it seems like in recent times, both countries are moving towards hyper-nationalism. Your views? We both have resilient democratic systems with strong institutions. There’s no question that we’ve seen a rise of economic and political nationalism globally. It’s during these times that we have to collectively ensure that we continue to stay true to our founding Constitution’s careful system of checks and balances and the democratic traditions that give all people a voice and a position within our societies. More and more Indian-Americans are getting into active politics. A record 20 Indian-American candidates are looking to become new members of the U.S. House of Representatives on Election Day. 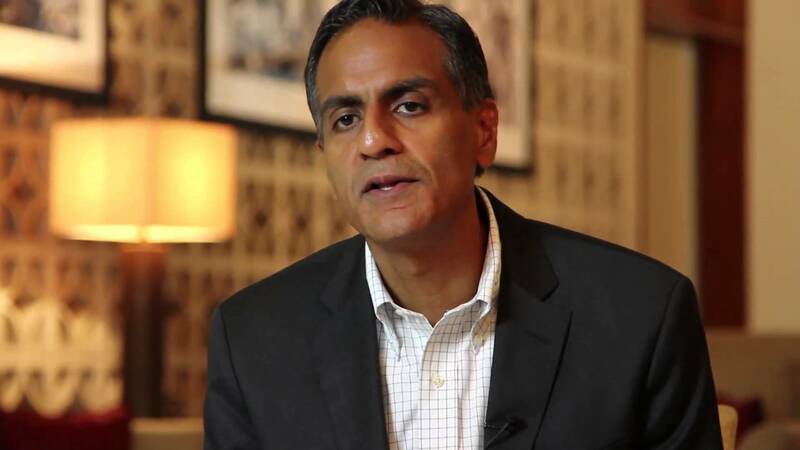 What fresh perspectives can Indian-Americans bring to the office? I think it’s so great to see all of these Indian-American candidates becoming more active in public life and in politics, but I’ve also seen so many more be involved in charitable and civic activities, giving back to their communities, and being civic leaders. This is a terrific development which is based on the fact that the diaspora has become much more assimilated and established in America, which affords them these kinds of opportunities that perhaps were not available for the first wave of Indian-Americans that came to the United States. This is a good trend that I hope will continue. At the recently held ‘New India Lecture’ you were quoted as saying, that the US needs to pave the way forward for India so that it actually has the seat at the table in this century; a seat that is appropriate for a country of the size and stature of India. Could you elaborate? So many of the world’s international institutions were established given the world contours of the 20th century and there has been a significant shift in the balance of power and in global political dynamics. The bottom line is that India is a key global player that deserves to have a seat at the table. There is one country that can help lead the way in that effort, and that is the United States. Do you agree that restricting H1-B visas is bad for business and the economy? We have to keep the H1-B discussion in perspective. The number of H1-B visas is still a small share of the total number of visas issued each year. Some reforms are probably necessary. I hope policymakers undertake reforms that don’t unnecessarily divide our countries, our companies, or our families.